UPDATED (8/3) Enter to Win a Free, Signed Book & Sketch! Share the Doodze love for a chance to win! That’s right! 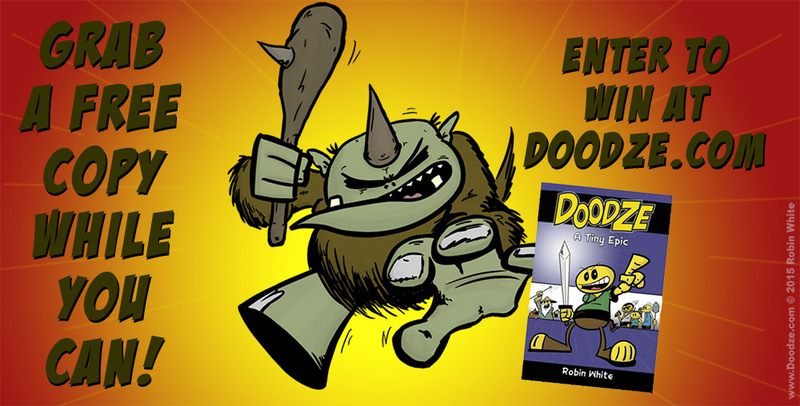 I’m giving away a free, signed copy of Doodze — A Tiny Epic (the book), along with an original piece of art (a sketch of a Doodze character of your choice) by yours truly. The contest ends FRIDAY night (Aug. 7 ’15) Japan time! (Friday AM in North America) Those who’ve already commented on this post will be included.